You could say that Mike Moran was born into the world of dry cleaning. He was just two when his parents, Mike Snr and Pat, opened the first Top Hat in Kingsley Road, Hounslow in 1967. 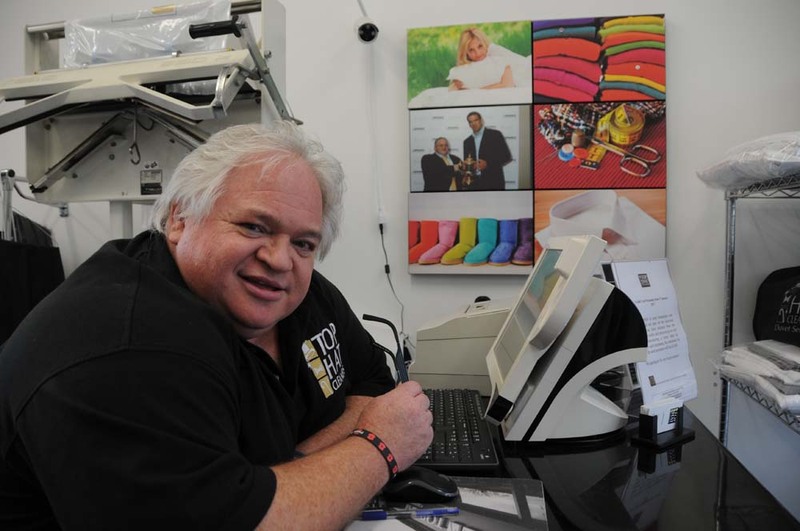 Most appropriately, given this year marks the 50th anniversary of the family business, Mike recently won Drycleaner of the Year at the Laundry and Cleaning News awards: ‘That was a nationwide competition, so I was chuffed about it,’ he says proudly. Mike’s father started working at the Welcome Laundry in Isleworth and then Reliable Cleaners in Feltham while still at school. So, by the time he left, Mike Sir was already an ‘old hand’ and ready to launch his own venture. He was joined by his wife Pat and together they built a successful chain of dry cleaners, opening eight Top Hat outlets in all. Mike and his brother Paul completed their apprenticeships in the industry and, in 1984, Mike took over the operation from his parents. basement, is run by my cousin Steve – he’s been in the trade for 35 years – and John, who is equally experienced, manages the upstairs receiving shop,’ explains Mike. 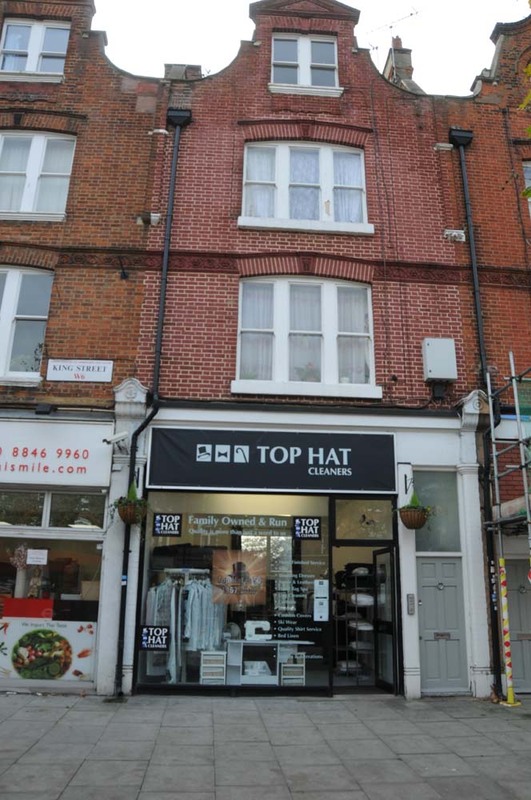 All the dry-cleaning, alterations and repairs are taken to Top Hat’s Chiswick branch in Devonshire Road (Mike does regular runs between the two branches to ensure prompt delivery). 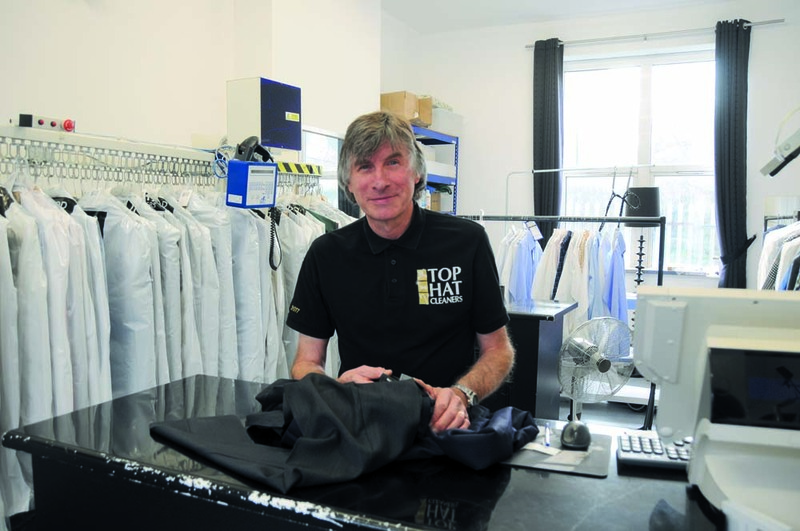 ‘In the dry cleaning industry, it’s rare to have our team’s level of knowledge,’ he says. ‘We can look at anything, be sure what the material is and know how to treat it.’ Here’s to Top Hat’s next 50 years!